BlackBerry has announced it has partnered with PayPal in order to power a P2P money transfer platform on its BBM app. This comes after the launch of the PayPal app for BlackBerry earlier in 2015. Now, BlackBerry users can connect a PayPal account to the BBM app, and can begin sending and receiving money to and from other BlackBerry users. “It’s really simple: select the PayPal ‘Send Money’ icon in BBM and connect your PayPal account. You can start sending money to family and friends once they’ve also connected their PayPal accounts to BBM. 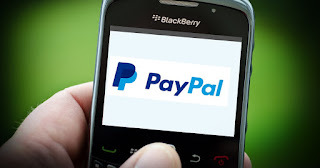 From there, you’ll simply select the PayPal icon directly in BBM, enter in the amount of money, review the details and hit send, that’s all it takes,” the company stated. BlackBerry users now have two money transfer options, the first being the BBM money transfer option. The other being the PayPal app, which BlackBerry already launched on its platform this past January. BlackBerry’s attempt to change the game of P2P lending coincides with the goal of the company in reviving its mobile presence and business. Not too long ago the company also launched a new enterprise-focused “BES12 Cloud”, offering mobile friendly business solutions for those wishing to subscribe to the Bring Your Own Device (BYOD) trend that has been of great popularity of late.